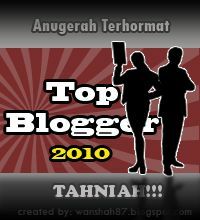 No no no, this dish has got nothing to do with 'bersih'. It just happened to be yellow in colour because of the turmeric powder I used. I love the sourish gravy and would flood my rice with it. The fish I used in the above photo is Selar Kuning (Yellow Banded Scad). I pre fried the fish before pouring the gravy over it so that this wonderful dish taste better. 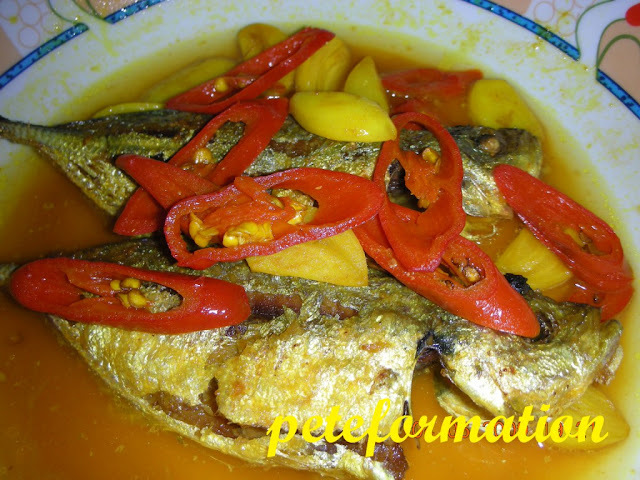 Here is my Ikan Selar Kuning Bersih recipe! ha ha ha! Deep fry the Yellow Banded Scad fish in hot oil until they turned a little crispy. Take out the fish and drain away excess oil. Put a little oil in wok and saute garlic until fragrant. Add a little water, turmeric, vinegar, salt and sugar to taste. Bring to a boil and pour the gravy over the fried fish. Garnish with fresh chilli slices before serving. Oh? So this is selar... Dunno the names of fish more or less like this...only kembong. My MIL used to cook this dish. Oh yellow kah..ooops. Ya lah looks like kembong to me too haha. Ho liao. I like deep fried selar kuning. But pouring the gravy over the fish - would it make the fish lose its crispness? Then have to eat while it's hot, right? I like fish cook this way, more rice please..